The Housing & Development Board of Singapore (HDB) will streamline the resale transaction process for public housing through a new HDB resale portal from January 1, 2018. All new resale applications must be submitted using the portal from January. The entire transaction time, from submission to completion of the resale application, will be shortened by up to 8 weeks from 16 weeks previously, if the buyers and sellers submit the necessary documents promptly. This is part of HDB’s continuous efforts to streamline its resale process, reduce transaction time and provide added convenience to flat buyers and sellers, under the initiatives of the Real Estate Industry Transformation Map (REITM). HDB states in the press release that it will continue to explore future enhancements to the portal as well as other initiatives to leverage technology to enhance its services and improve customers’ convenience. Currently, a resale transaction takes about 16 weeks to complete, and requires two appointments with HDB – a first appointment to work out the sellers’ sale proceeds and assess the buyers’ financial plan, and a second appointment to complete the resale transaction and sign the documents. Ahead of the first appointment, resale flat buyers and sellers (or their salespersons on their behalf) must complete an online resale checklist, including a section on financial planning, before they commit to buy or sell a flat. 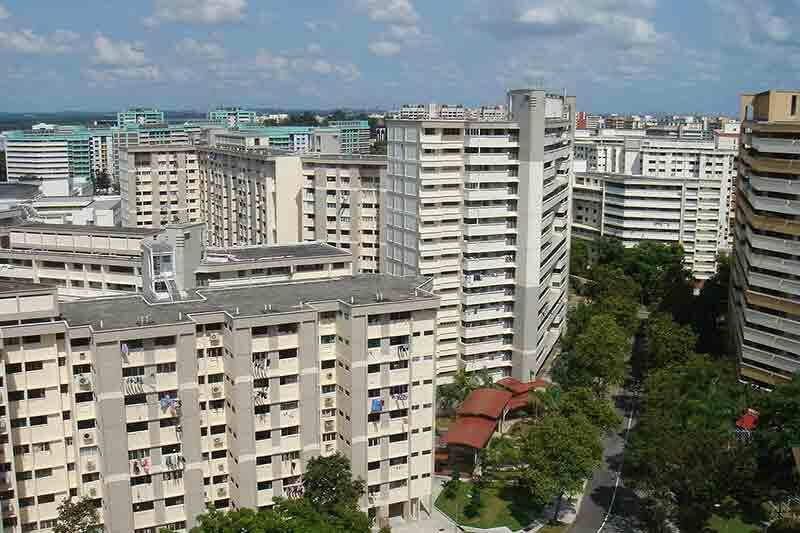 They can also use the e-Services available on HDB InfoWEB to conduct a series of checks, such as: (i) Eligibility to buy or sell the flat; (ii) Available quota in the block/neighbourhood for the different ethnic groups and citizenships under the Ethnic Integration Policy (EIP) and Singapore Permanent Residents (SPR) quota; (iii) Status of flat upgrading and billing for upgrading works; (iv) Recent transacted prices of nearby flats. Through the new portal, buyers and sellers of resale flats will submit their applications after logging in their SingPass, and be guided step-by-step on their respective resale journeys. With the streamlined process, flat buyers and sellers will need to attend only one appointment with HDB, instead of two previously. The first appointment will no longer be needed as all forms and checks will be completed via the portal. They will only need to attend the resale completion appointment, either at HDB Hub or at their solicitors’ office. The portal will minimise the need for manual entry of data. Once the flat buyers and sellers register their Intent to Buy or Intent to Sell a flat in the portal, their personal details from the Government’s MyInfo service will be used to auto-populate the application forms. In September 2017, the Government Technology Agency of Singapore (GovTech) announced that all registered SingPass users will have a MyInfoProfile by December 2017. It was also revealed that the MyInfo Profile will be automatically available to all government agencies, ensuring a seamless and convenient experience for users. All eligibility checks will be integrated on a single platform. Based on the information provided, flat buyers will also be able to view their eligibility to buy the flat, the housing grants they are eligible for, and whether they are eligible for an HDB concessionary housing loan. The portal will also display the EIP/SPR quota for the flat, the status of upgrading, billing status for the upgrading costs, as well as recent transacted prices of flats nearby. The Intent to Buy or Intent to Sell effectively replaces the existing online resale checklist. Flat buyers will also be able to view their eligibility for housing grants and an HDB concessionary housing loan through the portal. They can apply for an HDB Loan Eligibility Letter if they intend to take up an HDB housing loan. Flat buyers using their CPF (Central Provident Fund) monies and/or taking up a housing loan to finance their flat purchase will also use the portal to request HDB to confirm the value of their flat to determine their housing loan (Up to 90% of the value for a housing loan provided by HDB, or up to 80% of the value for a housing loan provided by a financial institution regulated by the Monetary Authority of Singapore) and/or CPF usage. A processing fee of $120 (inclusive of GST) will be payable to HDB. Resale applications can be submitted via the portal. Flat buyers and sellers will complete their respective resale applications in the portal, once the Option to Purchase (OTP) has been exercised. Upon receipt of the resale application and supporting documents, HDB will verify the information provided and notify the flat buyers and sellers of its acceptance of the application via SMS or email. The status of the application will also be updated in the portal. On average, it will take about 8 weeks from the date of HDB’s acceptance of the resale application, to process the application. HDB will compute the sellers’ sale proceeds and buyers’ financial plan, and prepare for buyers to make online withdrawal of their CPF monies and online health declaration for coverage under the Home Protection Insurance Scheme, as well as the relevant forms and undertakings for the sellers and buyers to endorse. Once these are done, the documents will be posted on the HDB Resale Portal, and the buyers and sellers will be notified via SMS to endorse the documents within 6 days. They will receive a reminder via SMS if they do not do so. The application will be cancelled if they fail to do so within two days of the reminder. With the endorsement of the documents done online, buyers and sellers will no longer need to attend the first appointment with HDB. Flat sellers and buyers will make the payments online. Those who are unable to do so can print the payment advice and make the payment at HDB Hub within 3 days. Once the documents are endorsed, HDB will grant an approval for the resale application. The approval letter will be posted on the HDB Resale Portal, and the parties notified via SMS/email. Once the application is approved, HDB will arrange an appointment for both parties to complete the resale transaction and to sign the necessary documents that require “wet-ink” signatures. The streamlined resale process will apply to applications where the Option to Purchase (OTP) is granted by flat sellers on or after 1 January 2018. Flat buyers and sellers will have to use a new HDB-prescribed OTP form from this date. The current HDB-prescribed OTP form will be valid until 31 December 2017. Resale applications with OTPs granted before 1 January 2018 using the current OTP form, will continue to be processed under the current procedures. SingPass, available to all citizens and long-term residents in Singapore, acts as an authentication gateway to hundreds of e-services provided by more than 60 Singapore Government agencies.